Fleet-Plummer has the Triad's largest selection of vented and vent-free gas log fireplaces from top brands. Come talk to one of our experts today! Why buy gas logs from Fleet-Plummer? Gas logs can be complicated, the buying process shouldn't have to be. We have created packages that combine the highest quality logs with the most efficient burners. Shop our wide selection of quality vented and vent-free gas logs. 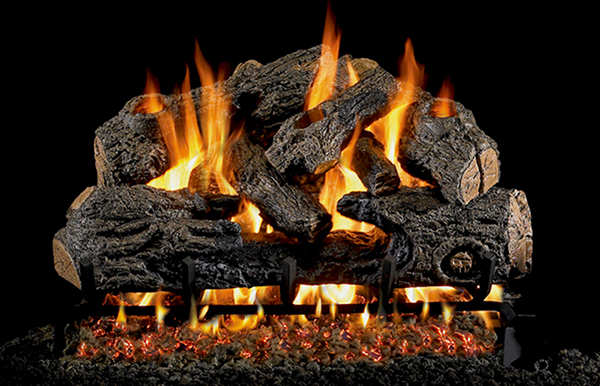 We carry only the most beautiful logs and most efficient and up-to-date burner systems. We've been selling gas logs for over 50 years, and our expert team members have been certified by the National Fireplace Institute. 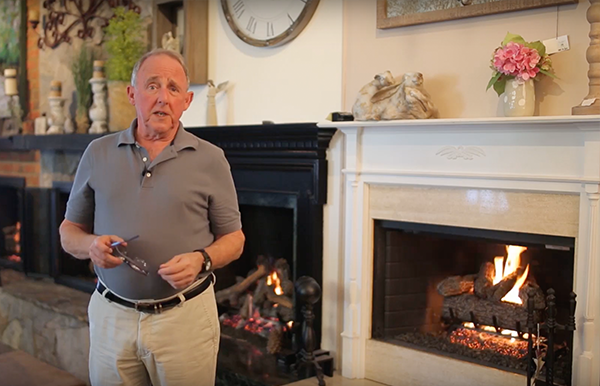 Fireplace expert, Jim from Fleet-Plummer, on the differences between vented and vent-free gas logs. 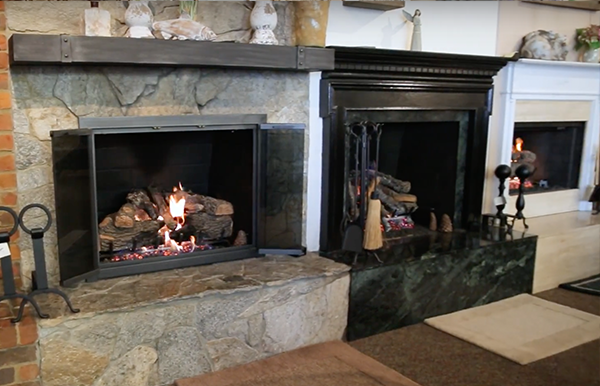 In this video, Reid Plummer of Fleet-Plummer shows us how to measure your fireplace to select the right size gas logs. Gas logs provide the ultimate in convenience: the beauty and warmth of a fire with no smoke or ash. But as gas logs’ popularity has grown, so has their complexity. Let the National Fireplace Institute-certified experts at Fleet-Plummer guide you through our selection of all sizes of vented and vent-free gas logs and fireplace inserts. We have the Triad’s largest selection of the highest quality gas log products, including Empire, Peterson, and Golden Blunt. Enjoy the ambiance of our live-burning displays as you learn about the merits of different systems, and see how a fireplace upgrade from Fleet-Plummer can enhance the beauty and comfort of your home. Fireplaces add a beautiful ambiance to any home. If you're looking for the beauty of a wood fireplace without the hassle of real wood, vented gas logs are for you! Although they don't provide much heat, they provide a beautiful focal point for any room in your home. Click a style below to learn more. The beautiful display and flame presentation of this Charred Oak gas log set is ideal for creating those magic moments and memories. The beautiful display and flame presentation of this Charred Evergreen Oak gas log set is ideal for creating those magic moments and memories. The beautiful display and flame presentation of this Charred Northern Oak gas log set is ideal for creating those magic moments and memories. Our vented contemporary gas burner burns cleanly with glass/gems directly on burner ports providing a beautiful sea of flames. Vent-free gas logs from Fleet-Plummer will provide a wonderful source of heat in your home. There are several things to consider when purchasing vent-free logs, and our fireplace experts will be happy to help you figure out if you can have vent-free logs installed in your home. The beautiful display and flame presentation of this Foothill Oak gas log set is ideal for creating those magic moments and memories. The beautiful display and flame presentation of this Ponderosa gas log set is ideal for creating those magic moments and memories. The beautiful display and flame presentation of this Charred Frontier Oak gas log set is ideal for creating those magic moments and memories. The beautiful display and flame presentation of this Golden Oak Designer gas log set is ideal for creating those magic moments and memories.